A view from the south west coast of Islay between Claddach and Lossit Bay. A channel cuts deep into the cliff, waves rushing in and out while a lone cloud is hanging overhead in the otherwise clear blue sky. Frenchman’s Rocks can just be seen in the distance on the left. 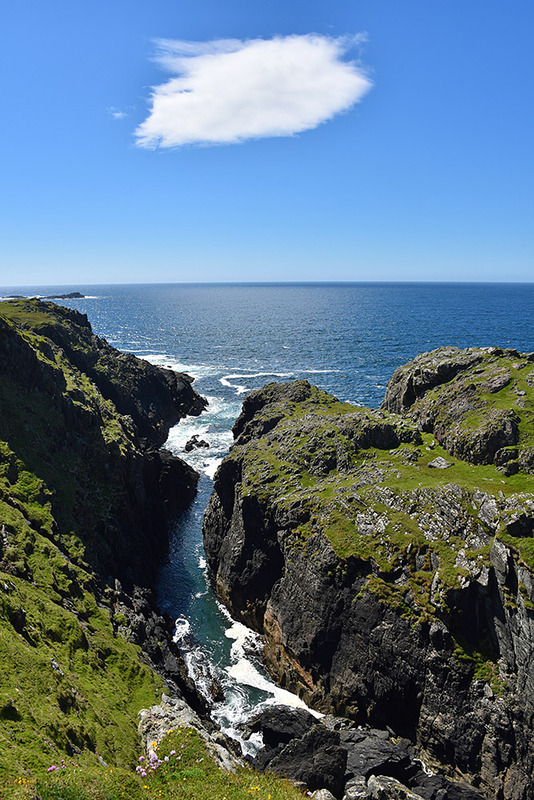 This entry was posted in Cloudy Weather, Landscape, New Post, Sunny Weather and tagged Frenchman's Rocks, Islay, Rhinns of Islay by Armin Grewe. Bookmark the permalink.